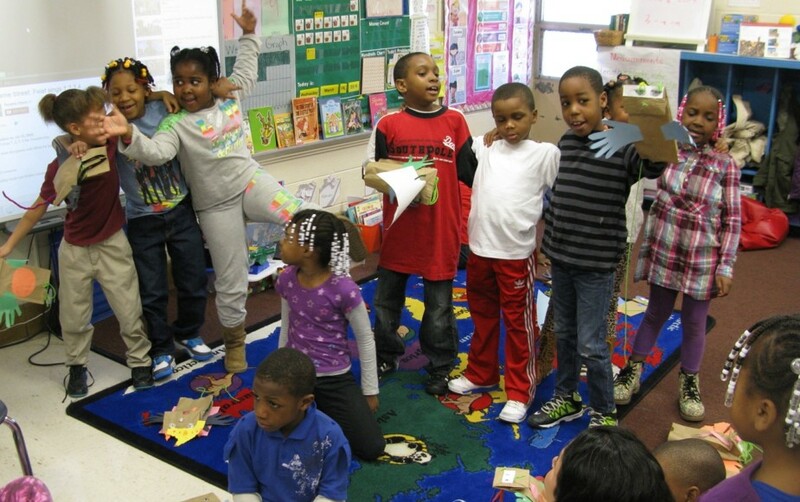 In 2014, our first year for year-round Saturday programming, Tidewater Park Elementary students celebrate everything they learned at Horizons Spectacular Saturdays! 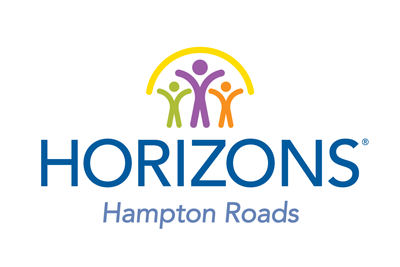 Horizons Hampton Roads is committed to expanding our current service to include Horizons year round programs. The foundation for a love of learning is set early. During our Super Saturdays, 70 kindergarten and 1st graders at PB Young Elementary School are immersed in enrichment activities that support the classroom curriculum and encourage a firm foundation for academic growth. 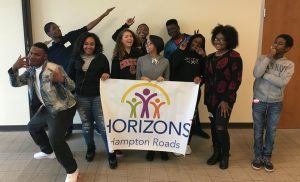 Currently in our fifth year of winter programming, Horizons Hampton Roads partners with the Norfolk public school to offer academic support and enrichment to those students identified by their teachers as most at risk of falling behind. 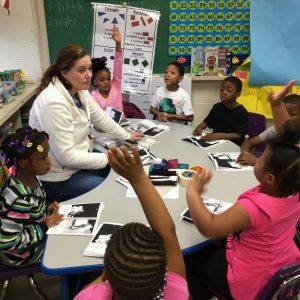 Led by current PB Young teachers, supported by the Horizons model and with the help of over 25 volunteers, students meet for 6 Saturday sessions. During that time, students are able to spend time reading one to one or working on math skills in small groups. This extra attention is often all that is necessary to overcome stumbling blocks and is usually impossible during the average school day. The relaxed and engaging environment keeps the students coming back for more learning fun! For more information on our Super Saturday program, contact Horizons Program Director, Elaine Lyons. 2016 jump-started our first High School program to support graduates of Horizons Hampton Roads! Horizons is a community that nurtures children in all aspects of their life and it doesn’t stop once a child graduates at the end of 8th grade. 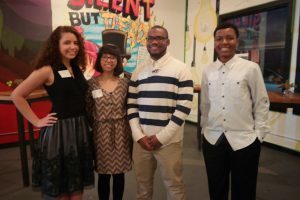 Our High School program continues to support Horizons students as they make their way through the critical high school years. 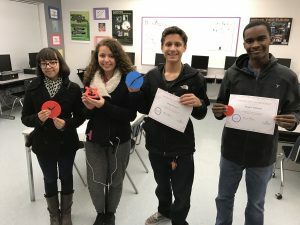 We offer tips for navigating high school and the college prep process and teach study skills but perhaps more importantly, we offer a continuation of the Horizons family that reminds students of their intrinsic goodness, the importance of good citizenship and to reach for their dreams. The program meets monthly offering a balance of instructional topics, volunteer experiences and fun. Most meetings are held on Saturday mornings at the Student Center of Tidewater Community College’s Norfolk campus. 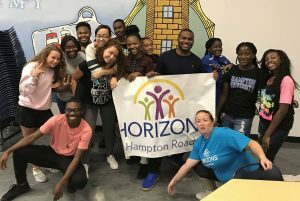 If your child is a graduate of Horizons Hampton Roads and currently enrolled in High School, please contact our High School Coordinator, Jessica Gaines at 757-412-0249 ext. 6.